Each new milestone baby hits is a whole new adventure. From learning to crawl to learning to chew every day is an adventure. Now that the baby is ten months old, we’ve been exploring new foods and tastes as we begin to transition her to table food. 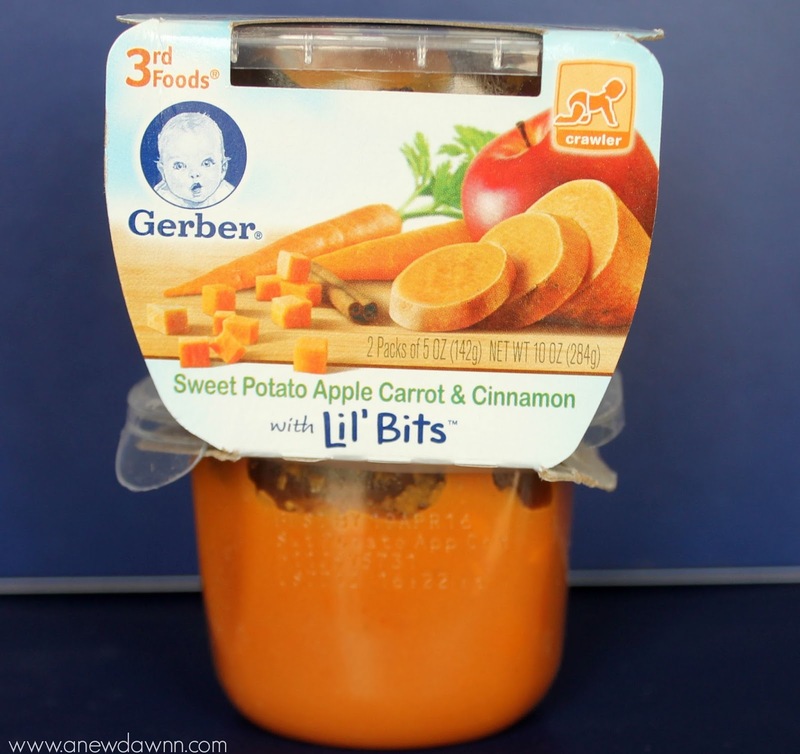 One of her favorite new foods is Gerber 3rd Foods® Lil’ Bits™ Recipes and I’m thrilled to be partnering with them on today’s post. 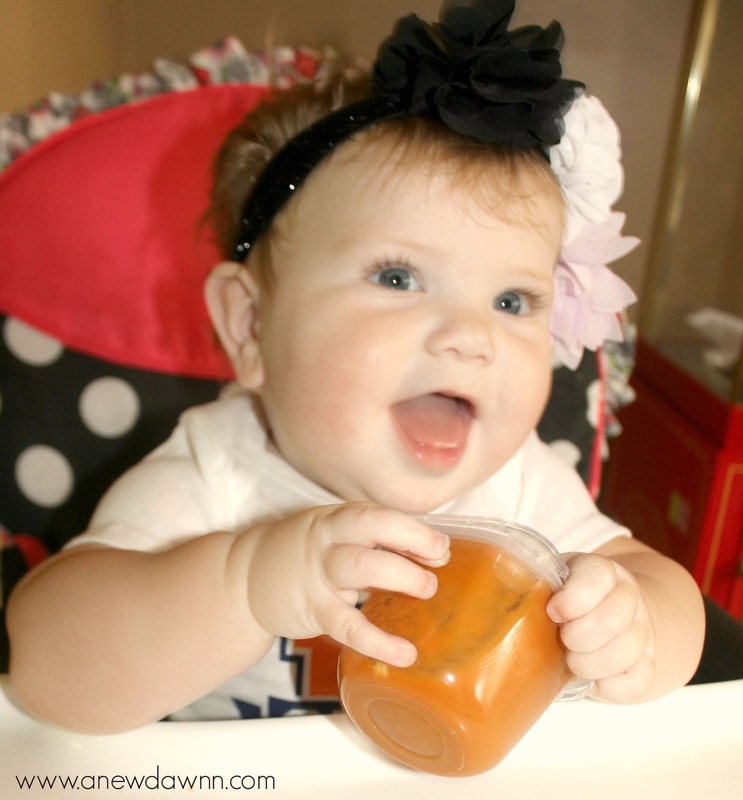 At her 6 month check up, our doctor gave her the ok to start her on baby food. She started her off on her smooth purees but after a few weeks, she began to mash the food with her gums. Then she progressed to more chewing motions with her jaw and we knew she was ready to try something a little chunkier. 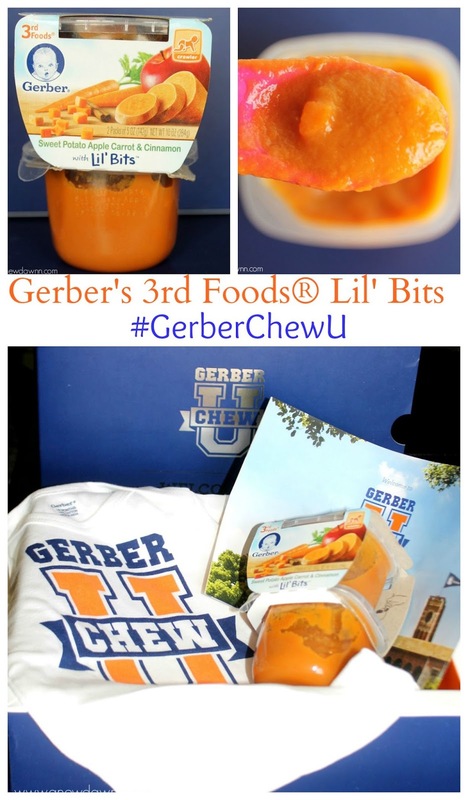 We moved her on to new Gerber 3rd Foods® Lil’ Bits™ Recipes. They are made with small, perfectly sized soft bits of fruits or vegetables that help your baby learn to mash and chew. 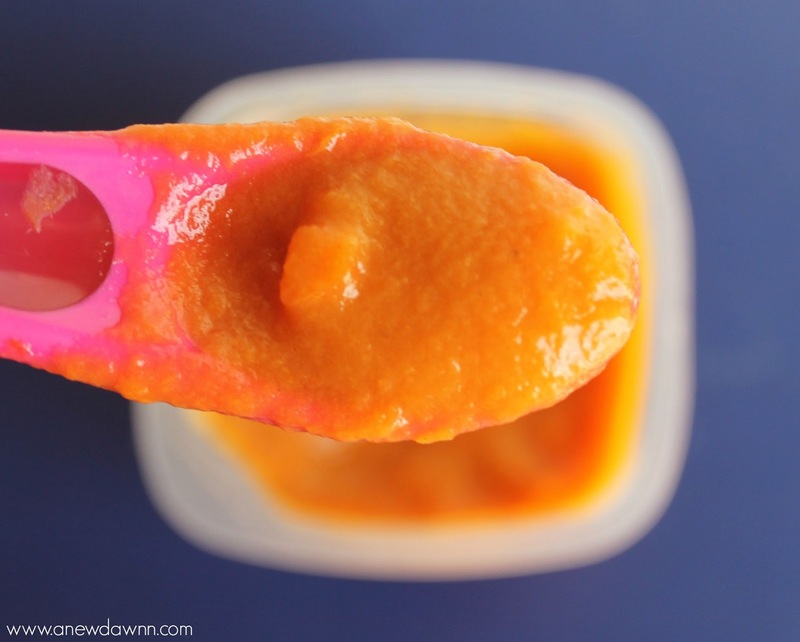 Chewing is an essential milestone in baby’s development and these recipes offer a gradual texture progression that helps babies learn how to transition to table food. Now that the baby is learning to chew, finding a baby food that helps her continue to develop that milestone is important. With these small, soft bits of fruit and vegetables, Gerber 3rd Foods® Lil’ Bits™ Recipes have been able to do just that. At first she definitely noticed the texture was thicker, but she just mashed it with her gums and eagerly wanted more. We’ve been able to let her experience all new tastes and flavors with the chunkier pieces she needs to continue to develop her chewing. She loves them and the plastic containers make it easy to take them on the go for play dates or trips to the park. Use their jaw to mash and chew food? Starting to crawl with their belly up off the floor? Use their fingers to feed themselves? If you answered yes, your baby may be ready for Chew University! Enroll your baby in Gerber Chew University to win great prizes! 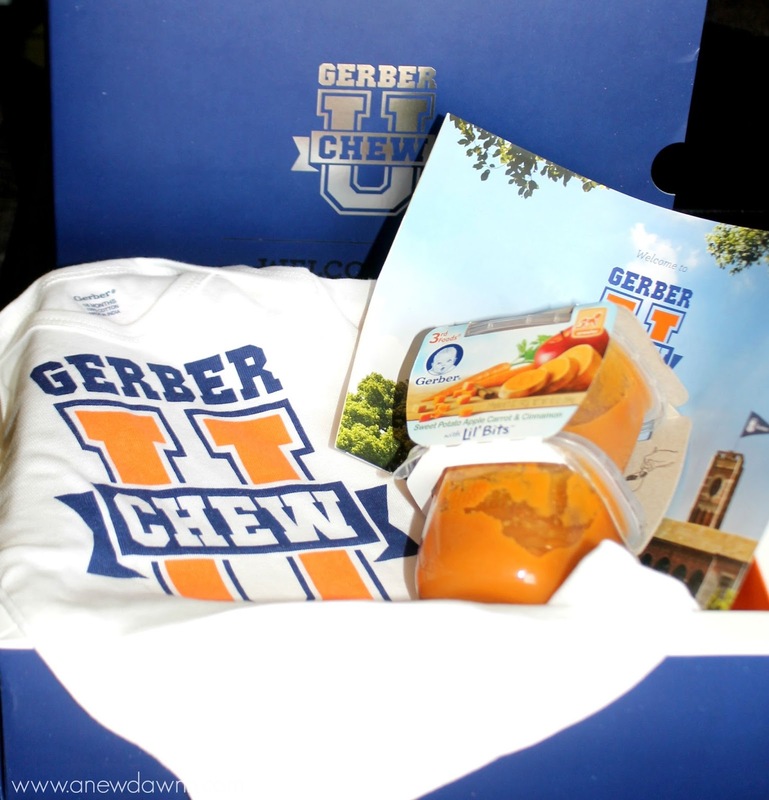 Now until September 4, 2015 you can enter for daily chances to win Class of 2015 Chew U prizes! You can even print out a cute student ID! This is a sponsored post written by me on behalf of Gerber. I always gave my boys Gerber food when they were babies. It is the best afterall. All of my babies were Gerber babies! Their food was the only stuff we trusted. What a great idea! My kids lived on Gerber and I wish this had been around then! I love the Lil' Bits! I wrote a post about them too because the 3rd foods are so cool. I love how much research goes into making them. Thee lok great! I have been using Gerber products for over 10 years, they seem to be our favorite! Each new milestone really is a new adventure. 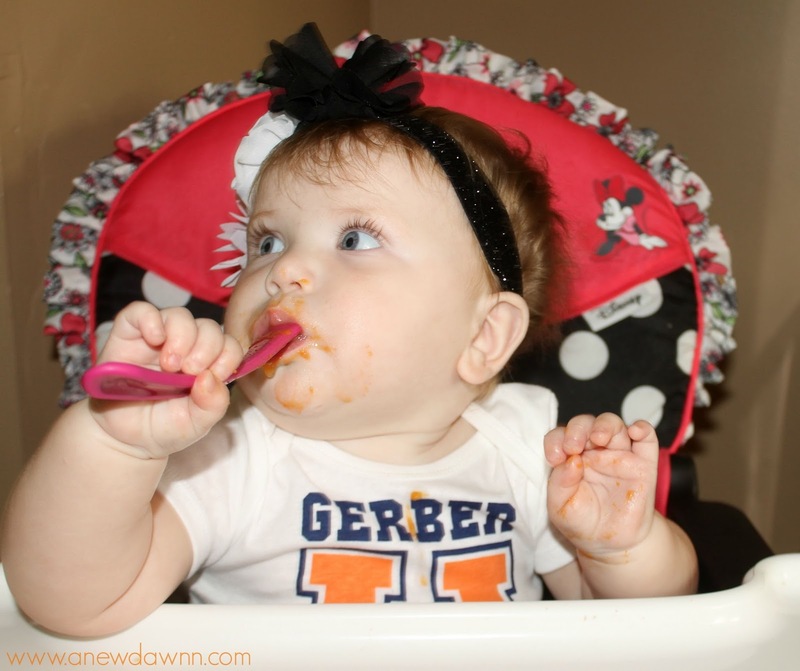 And we've always loved Gerber! My first boy was growing up with Gerber and now my 8 months old baby was eating Gerber, Apple banana is his favorite, i absolutely loved Gerber! They make great products you can trust. Love the new textures. I really like that there are 10 different recipes! It gives you some options instead of feeding kiddos the same fruit or veggie over and over! Baby's need different food textures and different foods as they grown. It is nice to see a company recognize and address this issue. I will be purchasing this for my little one soon! I was a Gerber baby myself! Its neat that they are adding more foods to transition into table foods with texture. PS your little girl is adorable! My kids were Gerber Babies – quality brand that we trust. She definitely looks like she's enjoying it! What a cutie!